If you don’t support a loved one living at home or work in a healthcare environment, such as a senior living community or hospital where you interact regularly with people over the age of 65, then it’s unlikely you’ve had to consider what happens when someone has a fall. It’s common to find that after a certain age many people will struggle to get back on their feet after a fall and may require assistance. Often, the first action carers will take is to call an ambulance for help and this is true for residents living in senior living communities too. Now you may be thinking that that seems like a sensible precaution, however consider this…a third of people aged over 65 (a statistic which rises to 50% in people aged over 80) will fall at least once a year. Over 45% will be uninjured and do not require an ambulance or any hospital treatment. 20% of senior living community residents admitted to hospital after such a fall will have been on the floor for over an hour and perhaps most shocking is the statistic that of those, 50% will then die within six months from related complications, even if they were uninjured! Making the problem even worse is the fact that after you’ve fallen once, there’s a 60% chance of having another fall, which in a lot of people leads to loss of confidence and a reduction in activity which in turn leads to loss of muscle strength which then makes future falls even more likely, a self-fulfilling, vicious circle. So why aren’t senior living communities lifting their residents? Well there’s a variety of reasons. They may have been told to call 911 to protect the community from being sued if the resident is injured whilst being lifted. They may even genuinely believe calling 911 is the best thing to do for the fallen resident. Pressure ulcers, also known as ‘pressure sores’ or ‘bedsores’ are an injury that breaks down the skin and underlying tissue when an area of skin is placed under increased pressure (sure as lying on the floor for long periods) and can form within half an hour of falling. The extra pressure causes a lack of blood to the affected region which causes it to become starved of oxygen and nutrients. Depending on the time spent on the floor, recumbent, in the same position, these sores can range from uncomfortable, to painful, right through to life threatening. One of the more obvious and least dignified consequences of a resident being left on the floor for extended periods is incontinence which will come with a whole host of medical issues if the resident can’t easily be cleaned, not to mention the psychological embarrassment it causes people. Whilst the risk of dehydration is greatly reduced in a senior living community it remains a fact that most people who do fall are at risk of suffering this if left for long periods. 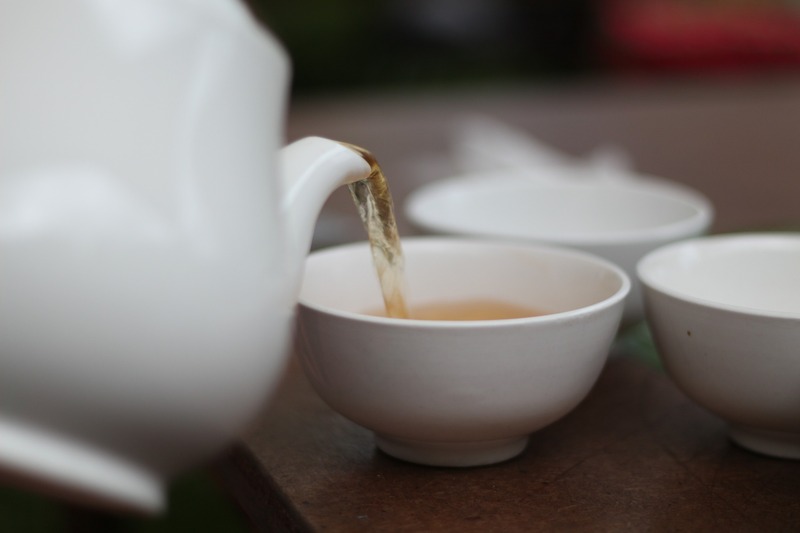 Being supine on the floor isn’t the most pleasant place to have a drink and many residents will prefer to wait till their back up on their feet; which can be a dangerously long time to go without any liquids at all. One of the more serious consequences of being left on the floor for long periods after a fall is hypothermia or the increased risk of contracting illnesses like pneumonia. In an ideal world a senior living community resident would fall over in a warm, heavily carpeted room, however life is rarely that fair. A lot of falls take place in corridors or walkways with cold tiles underfoot or even outside. This obviously makes things a lot harder when trying to keep the resident warm during the long wait for an ambulance. 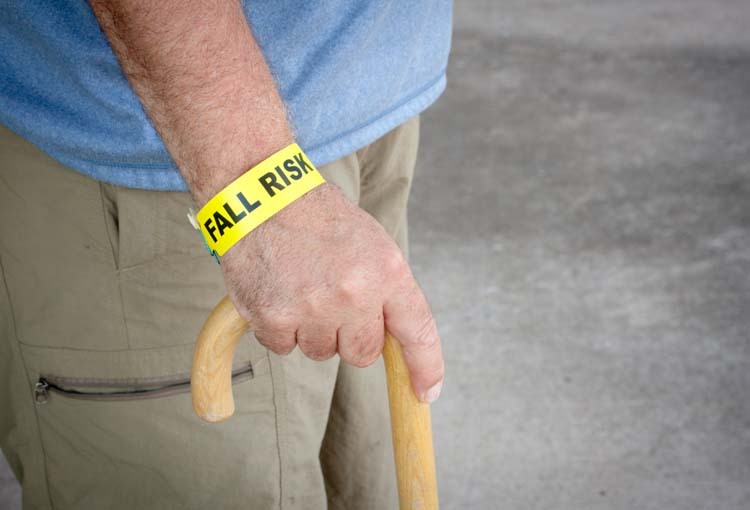 Research by the American Journal of Epidemiology shows the fear of falling in the elderly will subsequently have a massive impact in reducing their ongoing quality of life. 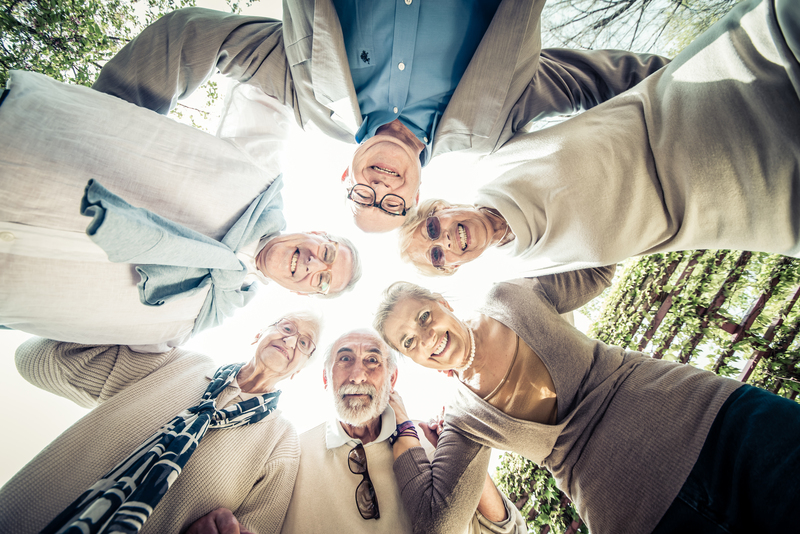 The fear of falling among older people occurs in approximately 30% of those who have never fallen and 60% for those who have fallen previously. The person then becomes more dependent on others and less mobile and begins to cut their daily activities. As the fear of falling increases and activity diminishes, muscle strength weakens causing more and more falls. In fact, frequent falls are often considered the main contributing reason for first admissions to a senior living community. In addition, healthcare professionals who have been injured through manual handling tasks may also become reluctant to lift or move people going forward, becoming much more likely to call 911. This can then directly impact the health of patients and increase the prevalence of pressure ulcers and other associated issues. Finally, 20% of people over 65 admitted to hospital as a result of a fall have been on the ground for over an hour. 50% of these will die within six months as found in the study by Vellas et al. So, what can be done about this? Clearly the easiest answer is to empower senior living communities to lift fallen residents safely and only call ambulances in emergency cases. Unnecessarily admitting residents to hospital impacts services dramatically. Now clearly we here at Mangar Health feel the right equipment to use would be our Camel or ELK lifting devices. They’re safe, dignified and are perfectly suited to single handed care however, we’d also be more than happy if senior living communities were using any other suitable lifting devices as well. We understand they’re committed to providing quality, dignified care for their residents but we’d like to see less pressure on an the already overstretched emergency services. Did you know that every ambulance in the UK carries one of our ELK lifting cushions and when a paramedic arrives at a care home in the UK they are likely to use the ELK to perform the lift; all we’re suggesting is that senior living communities reconsider their falls policies and create care pathways that best protect the health of their residents. People are only left long enough for professional evaluation. Such as a liscensed nurse.Or paramedic.Each scenario has it’s own merits. Outside in the elements fast is critical,but as such it would not do extended harm. And one big reason to leave them on the floor? Broken bones! Also, correlation (falling : death in 6mos) does not equal causation. This is unprofessional fear-mongering. The evidence isn’t ours but independent studies that have found that link between long lie and higher mortality rates. And as for broken bones, we completely agree with you. Our products are for the 45% of people who are uninjured after a fall, hopefully there’d be someone on the premises that would be able to assess them and check for broken bones.